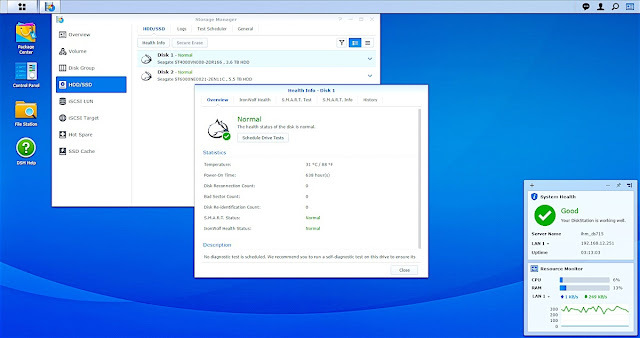 Seagate Technology®, in collaboration with Synology®, partnered to bring IronWolf™ Health Management (IHM) for Synology’s DiskStation Manager (DSM). Exclusively offered on Synology® NAS, IronWolf Health Management leverages the hardware sensors and software suite built into IronWolf NAS HDDs to provide intelligent analysis of drive health that goes beyond traditional diagnostic tools. In addition, users can enjoy the intuitive private cloud solution of Synology NAS to access and manage their digital assets with the packages DSM provides, such as Drive and multimedia applications.